Who Was Dorothy Day, Described By Pope Francis As A "Great American" With A Remarkable Legacy? 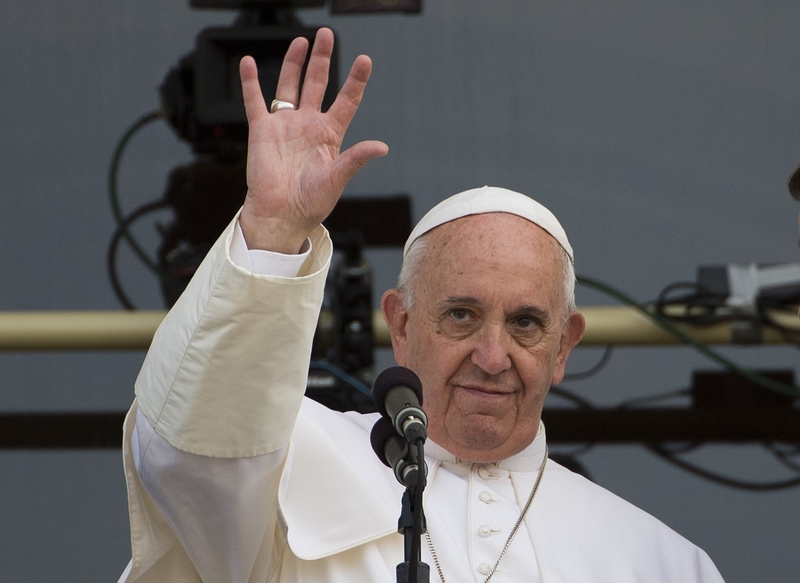 Thursday morning, Pope Francis gave the first-ever papal address to Congress. In a joint session of the House and Senate, the Pope spoke about climate change, abortion, the death penalty, and the accomplishments of Martin Luther King, Jr. Toward the beginning of his speech, the Pope named four people whom he thought were great Americans: Abraham Lincoln, Martin Luther King Jr., Dorothy Day and Thomas Merton. Day and Merton are both Catholics, and Day stood out as the only woman the Pope mentioned. Among Catholics, Day's name is probably familiar, but to the broader public, her legacy isn't quite as well-known. Who was Dorothy Day, and what is her legacy in the U.S.? Day is perhaps most well-known for founding the Catholic Workers Movement in the 1930s. She was an avid workers' rights activist and a journalist. She was a frequent columnist for The Catholic Worker paper. As a Christian socialist, Day was a very controversial figure, both within and outside the Catholic Church. Her work in social activism was very impressive, and her passion for pursuing justice for the poor and rights for women was enormous. Day also played a very active role in the women's suffrage movement in the late 1910s. Time reports that she was arrested for her suffrage work. And she would be arrested at least 11 more times during her life, mostly for participating in protests or refusing to cooperate with the police. Her final arrest was in 1973 for her participation in a farm worker protest. She was 75 years old at the time, and spent almost two weeks in jail. As a journalist, Day was a prolific writer. Her work consists of eight books, more than 350 articles for journals and magazines, and over 1,000 articles for The Catholic Worker. All of her writing centered on her political and religious passions, and she often called attention to problems within the Catholic Church, particularly their dealings with money. The Pope's choices of Abraham Lincoln and Martin Luther King, Jr. as two great Americans seem obvious. Hardly anyone would contest the contributions the two made to social justice and the course of American history. Dorothy Day, however, is an interesting person to select, given how controversial she was and how intently she fought the system. A devout Catholic who was also dedicated to the rights of the under-represented, Day has had an impact on American society to which we perhaps haven't paid enough attention in recent years. The Pope's mention of her throughout his address to Congress has put her back in the limelight, and her work will hopefully come back to the spotlight as well.